You are currently browsing the Bookmobile News weblog archives for December, 2015. 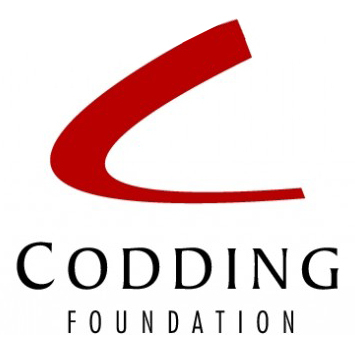 We are so grateful for Codding Foundation’s dedicated support of our children’s services! Their partnership with the Free Bookmobile dates back to 2012 and has helped us bring our early literacy outreach to many more eager young minds than would otherwise have been possible. We are especially excited about this 2016 program year grant, much of which is earmarked for our work with 0 – 5 year-olds and is thus eligible for multiplication through available matching funds. Established in 1961 as part of Hugh Codding’s legacy, the Codding Foundation has consistently supported local agencies that help Sonoma County youth and families. President Connie Codding has been very active in local philanthropy for a number of years, which includes service on the boards of PDI Surgery Center, Planned Parenthood Shasta Pacific Board of Advocates in Sonoma County, Sonoma Paradiso Foundation and the Osher Lifelong Learning Institute at Sonoma State University. Thank you, Connie, for all you do for the community, and especially for helping us keep reading fun and engaging for Sonoma County’s youth! What a powerful force for good! Thanks to Speedway Motorsports Sonoma Chapter, in 2016 the Free Bookmobile will be able to reach more young children with great new books than ever before. The impressive Speedway group has demonstrated strong growth in fundraising and giving across the United States, with eight chapters that offered up a total of $2.9 million in support to worthy non-profits this year. Their mission remains true to the ideals it was founded upon in 1982: To care for children in educational, financial, social and medical need in order to help them lead productive lives. We are very grateful that our local chapter’s board is excited about what we do, made clear by the increase in this second-year grant. When the Free Bookmobile visits preschools, toddler programs, and child development centers, we take extra time to engage the kids before offering the books. Our driver librarian explores a story with the children, often a non-fiction book about nature, animals, and the world around them. He shares his experiences with the natural world and encourages the little ones to do the same. Then every child climbs aboard the bookmobile to choose three books to take home and read with their families. This crucially builds home libraries and benefits others in the household. Thank you, Speedway Children’s Charities, for helping us boost this successful model!